Since everyone (including lovehkfilm’s own readers) are doing their best of the decade blog, I figure I shouldn’t miss out on the fun. Panasian is a fairly abstract word, but for the purposes of this list, they’ll simply films made in Asia from 2000-2009 and cannot qualify for the lovehkfilm awards (hence Lust, Caution and Hero’s exclusions). And now, the disclaimer: I watch a lot of films, but like anyone who doesn’t get to travel to film festivals worldwide or have that much time to watch every Asian film existed, I missed out on a lot of stuff. I also have my own biases. I don’t care for Achitpatong, Kim Ki-Duk, or Hong Sang-Soo, which means those art films one might’ve seen on those best of the decade list by western organizations will be missing here. Mainly, they’re not because I really don’t like them - I just couldn’t find the time. My criteria: The films have to be good, and if they served some kind of bigger purpose, it’s more likely I would put them here than some award bait film, like Hula Girls. I liked the film, and it swept a lot of the awards in Japan that year, but I hesitantly kept it off the list because it wasn’t as notable as some of the other films I’ve picked here. Note: This refers to the director’s cut, which runs just under three hours. The center of this Thai film is a gay romance between two teenagers, but it’s about a lot more than that, and it works on those other levels too. Despite some awkward directing, the film runs surprisingly fluid, and the acting is uniformly strong. A Thai gay romance is rare enough already, but one that is this good is even more rare. People might remember this movie as the film that replaced Lust, Caution as Taiwan’s representative at the Academy Awards when it was caught in bureaucratic limbo, but it’s one of the best road movies to come out of Asia in the last decade. As a travelogue of Taiwan, Island Etude was far more qualified to represent its home country than the Panasian effort of Lust, Caution (which only qualified for the HK decade film list under the lovehkfilm rules). 23. 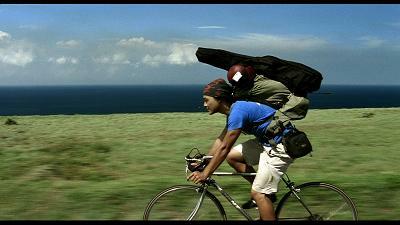 Departures (2008) - Japan - Directed by Yojiro Takita - LoveHKFilm review. Theoretically, the only Asian film to win Best Picture at the Academy Awards in the last decade ought to be at the top of the list, except…not. Departures is a commercial film calculated to make you cry and laugh at the right times, and when it succeeds the way it does here, it shouldn’t undermine the film. It’s still flawed at points, and it might not have really deserved that Academy Award, but what’s here is commercial Japanese cinema at its best. 22. 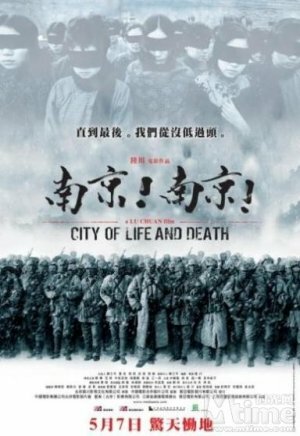 City of Life and Death (2009) - China - Directed by Lu Chuan - LoveHKFilm review. Lu Chuan’s big-budget recreation of the Nanjing Massacre is one of the most controversial Chinese movies of 2009 for its subject matter. In fact, one of my Chinese classmates called it the most sickening film of the year, so that should tell how polarizing the film is even in its own country. Politics and perspectives aside, City of Life and Death is just good filmmaking, with beautiful black-and-white cinematography, striking images, top-notch production values, and finally a take on world war II that doesn’t feel like nationalist propaganda. Not a film I’d visit again soon, but not a film to deny simply based on its subject matter, either. I can’t possibly think of a better answer to how a punk song from the 1970s save the world from impending disaster than Yoshihiro Nakamura’s Fish Story. Of course, the credit also goes to novelist Kotaro Isaka for the story, which unassumingly sets up seemingly ordinary stories before putting them together in an amazing reveal, but the tour-de-force final minutes where the entire story plays out is pure cinematic genius. And the song is pretty damn good too. 20. 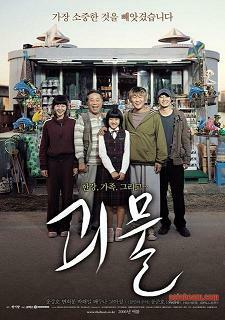 The Host (2006) - South Korea - Directed by Bong Joon-Ho - LoveHKFilm review. Bong Joon-Ho’s monster flick remains the highest-grossing in Korean history because it knows that unlike movies that bank on nationalist sentiments to support local films, it has to do more than boast special effects. The Host is funny, scary, and even a bit touching, and if you can’t even ask for that in a blockbuster flick - whether it’d be about dragons, robots, or huge tidal waves - then the terrorists would’ve won. Tomorrow: Numbers 11-19. I miscalculated the separation, and this is what happens.